Below are some pictures I took at work while Bury Football Club were in doing their post-season training. Today football clubs monitor how fit their players are at the end of the season and then again at the beginning of pre-season training. Gives them an idea of what they get up to over the summer, I guess. Of course we can all access facilities like this in universities today. 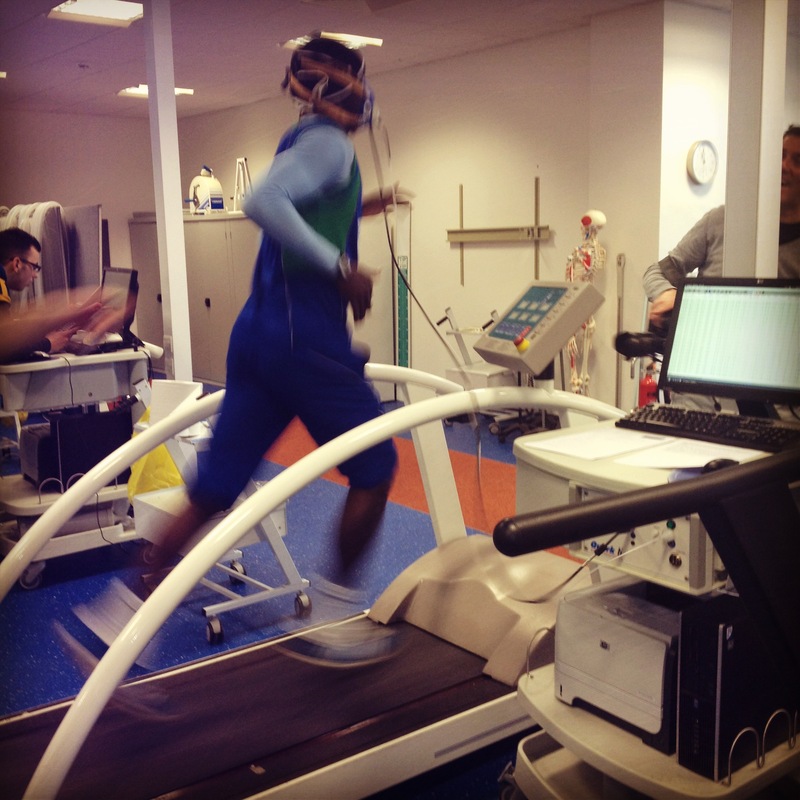 Many have sports science courses which are partially funded by offering services to the public. Certainly ours does and will attentively test any amateur sportsman or woman as assiduously as they do any professional. Of course you can test yourself without any fancy equipment. A timed run is as good as any measure, I guess. 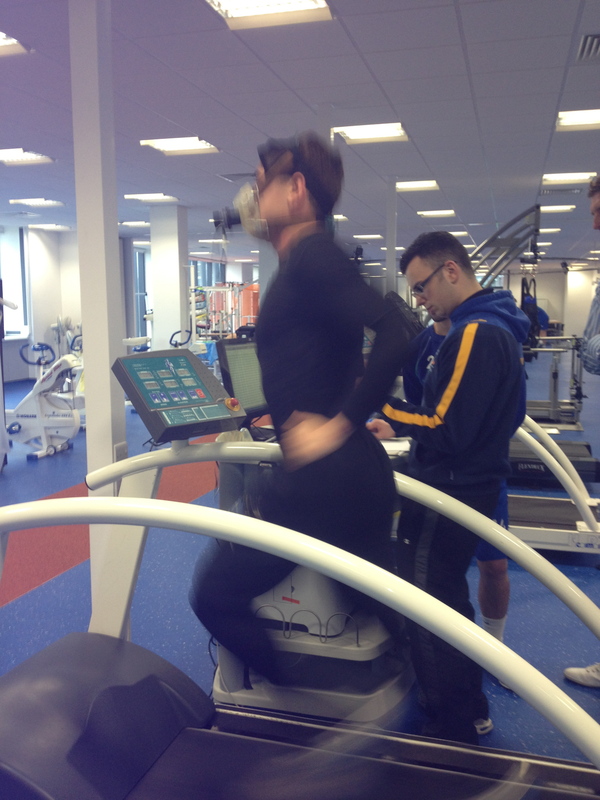 But if you want all those lovely stats, a complete fitness testing session will give you plenty to pour over.